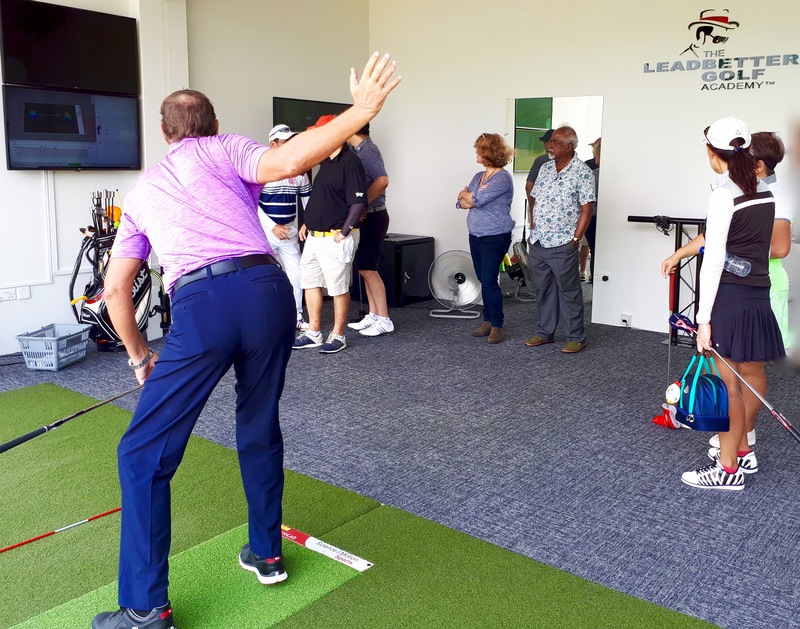 Offered at the new Leadbetter Golf Academy (LGA), which went into full swing in October, students who attend the academy will also benefit greatly with the use of several technologies to help them with their swing and game. With over two decades of coaching experience and 12 years working for LGA globally in Korea and Indonesia, Stephen Moriarty, Director for Leadbetter Southeast Asia explained LGA’s strategy, “We really wanted to create a unique learning environment for academy students and to help them truly understand what breaks down in the different parts of their games. Technology plays an important role and helps provide the coach with a better understanding of student faults." Elaborating on the technology employed at the LGA, Moriarty explained, "We have two different teaching rooms. One is used by multiple people featuring cameras, a high-resolution pressure plate and launch monitor technology. The other is a dual-purpose room with an indoor putting studio using SAM Putt Lab and high-speed cameras. 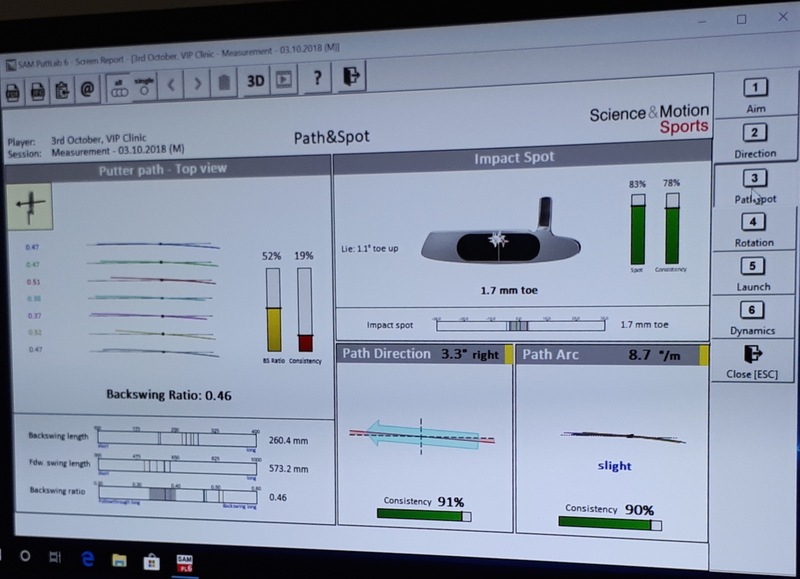 SAM Putt Lab lets us look at over 40 different putting parameters and helps to highlight the strengths and weaknesses of students. It also provides simple visual feedback for students. We have also GEARS golf, which is an optical tracking system that captures body and club movements. It is one of only a handful of the systems being used in Asia and provides the most accurate information for coaches. The system creates an avatar similar to what you see in the movies and allows us to look at the student's movements in 3D from all angles. The room can also be turned into an indoor hitting studio when the weather is bad by utilizing Trackman." The pressure plate Moriarty refers to is the SAM Balance Lab, which evaluates balance and weight transfer during the golf swing. The 2D/3D pressure distribution signals and synchronized video are recorded in parallel and then interactively analyzed in detail. This helps to correct poor balance and irregular weight shifts that are responsible for swing flaws, often resulting in a bad golf shot. 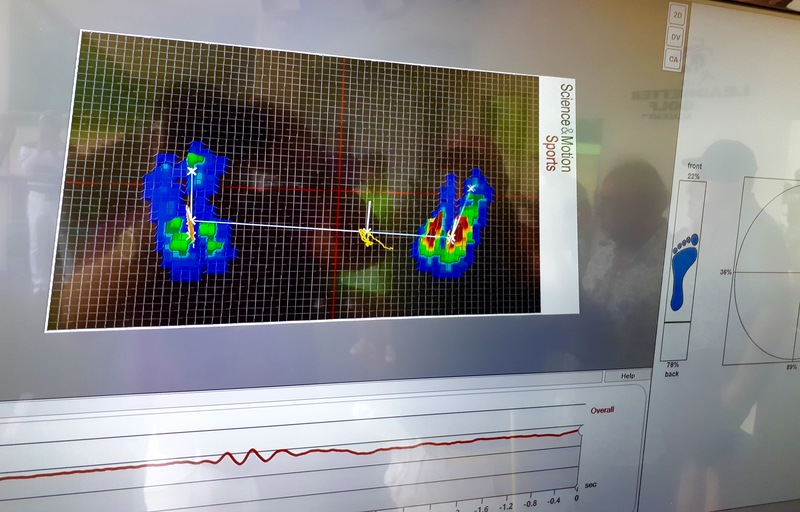 The left/right foot and heel/toe balance analysis and center of pressure and weight transfer analysis can even help to improve footwork to gain some extra distance. 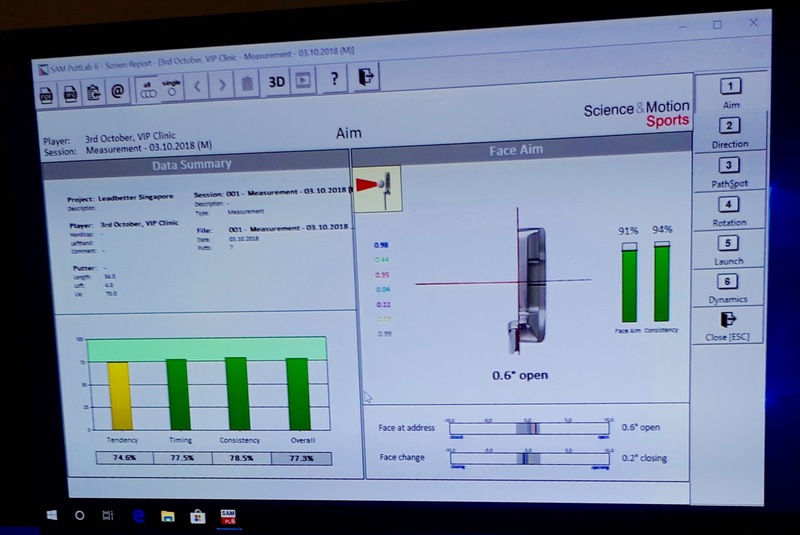 The SAM Putt Lab helps to accurately measure a player’s putter path, face angle, rotation and putting tempo to highlight flaws and areas for improvement in one’s putting stroke. It can even help determine a choice of putter design to fit one’s putting stroke characteristics. A technology that many may not be familiar with is the GEARS Golf Optical tracking system.This system is a full-body optical motion tracking system that measures and analyzes every aspect of the golf swing movement. It will assist the teaching professional in the study of a player’s movement mechanics and their corresponding performance measurement, accurate to 0.2mm. The science of golf now allows for precise improvements to the golf swing for maximum performance. Staffed with a full complement of accredited LGA professionals, the academy is housed in Laguna National Golf & Country Club’s new practice facility, which boasts 2 levels with a total of 50 hitting bays, each with its own precise yardage displayed on the bay dividers. Rounding out the facilities is a dedicated short game area for putting and chipping that is second to none, including 5 bunkers that cater to a variety of bunker shots. The standout of this short game zone is that it is large enough that players may practice hitting wedge shots from up to 80-yards out to flags on the chipping green. 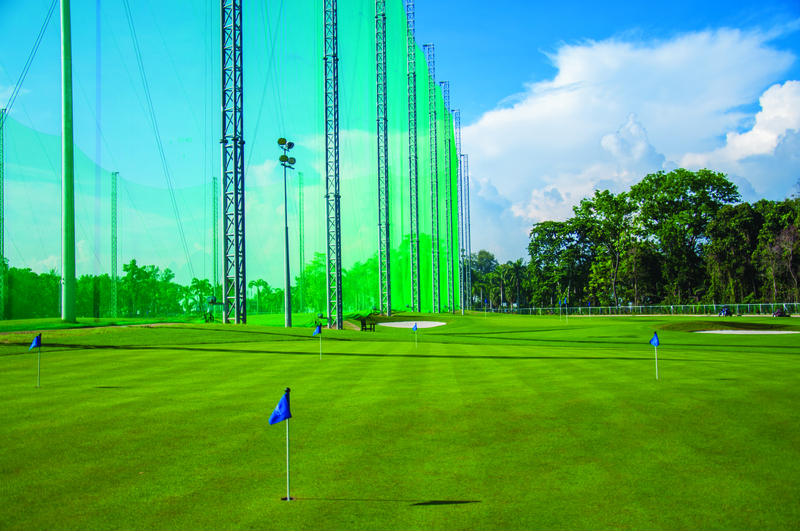 The driving range itself is open to the public, with the exception of the dedicated short game area, which is exclusively for club members and students of the academy. During an illustrious career spanning more than four decades, David Leadbetter has coached many of golf’s best-known professional players. In total, the players who were under his wing have won 24 Major Championship titles and over 100 individual worldwide tournament victories. Seven of these players at one time held the No.1 spot on the Official World Golf Rankings. The honour list is not short with Major champions such as Nick Faldo, Ian Baker-Finch, Nick Price, Ernie Els, Se Ri Pak, Lydia Ko, Danielle Kang and Michelle Wie topping the list. Leadbetter is widely credited with inventing the modern method of golf instruction. Through his passion, Leadbetter has pioneered innovations in the field of instruction that continue to have a lasting impact, on both how the game is played and taught. His interest in the techniques, mechanics, and intricacies of the game saw him authoring eight books on these topics, which have since sold two million copies, making him one of the world’s best-selling golf instruction authors. His latest book, The A Swing, released in May 2015, proposed yet another alternative theory to transform the golf swing. Leadbetter remains a notable voice in golf instruction and continues to coach several top PGA, LPGA, and European Tour players whilst also bringing the same innovative and elite level of instruction to players everywhere through his golf academy.